20 problems and an answer key. This packet helps students practice word problems with percent of a number. These problems include all three types of percent of a number problems: finding the percent of a number, finding the part of a number, and finding the whole number. Solve each problem. Please show all of your work. Use labels in your answers. Michael and Jonathan made a total of 125 dollars at work today. If Michael has 50 dollars, what percent of the money is Jonathan’s? 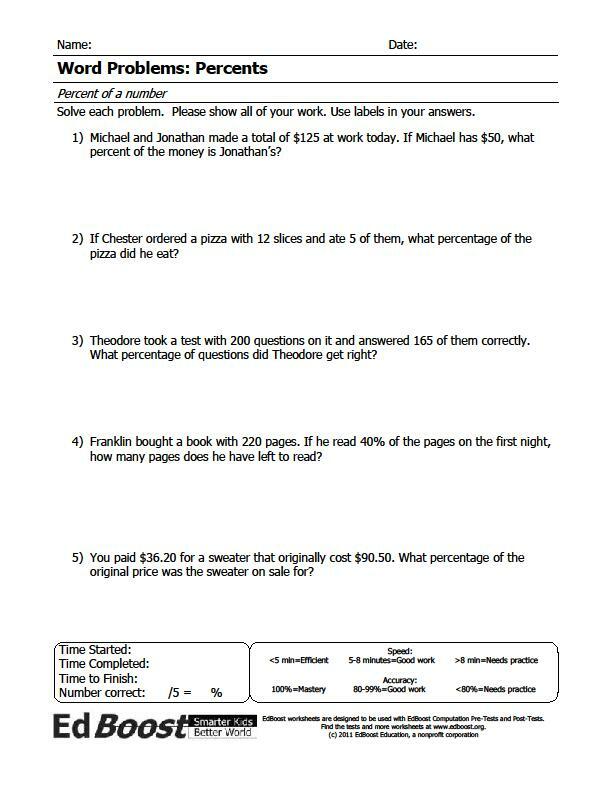 Students should be able to complete this packet once they complete each type of the percent of a number worksheets. Video(s) provided by Khan Academy (www.khanacademy.org).